We live in a time where vegetables experience their 15 minutes of fame, and per Pinterest's recent data, the humble cauliflower is getting its turn in the spotlight. 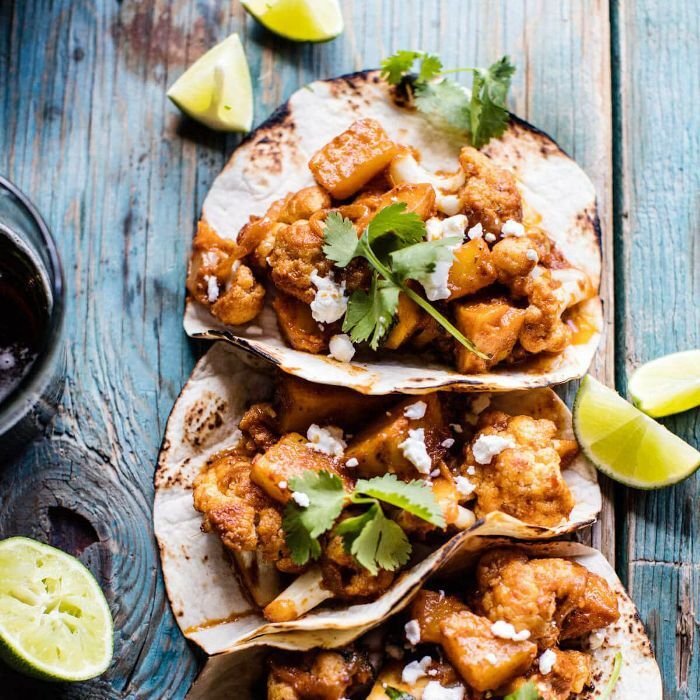 More specifically, Pinterest saves for cauliflower tacos have increased by 101 percent year-over-year as more and more people turn to the vegetable as a suitable meat alternative. Topping Pinterest's list of the most popular cauliflower taco recipes is This Savory Vegan's vegan Buffalo cauliflower tacos, which have been saved 207,000 times and counting. In a large bowl combine cauliflower, olive oil, garlic powder, chili powder, pepper, and 1/4 cup of buffalo sauce. Stir to combine. Spread evenly on baking sheet and cook for 20 minutes, flipping halfway.